Forget the obligatory roses and chocolates on Valentine’s Day. Instead, shift cupid’s arrow into top romantic gear and travel to Singapore for the best date-night you may ever have. From water level to high altitude, there are so many perfect couple moments to enjoy, because Singapore is one of Asia’s most vibrant cities. Whatever sparks the flame, you can certainly find it right here in Singapore. So why not travel to Singapore for a romantic break? Here’s a list of hotspots that makes Singapore the ultimate Valentine’s destination…. 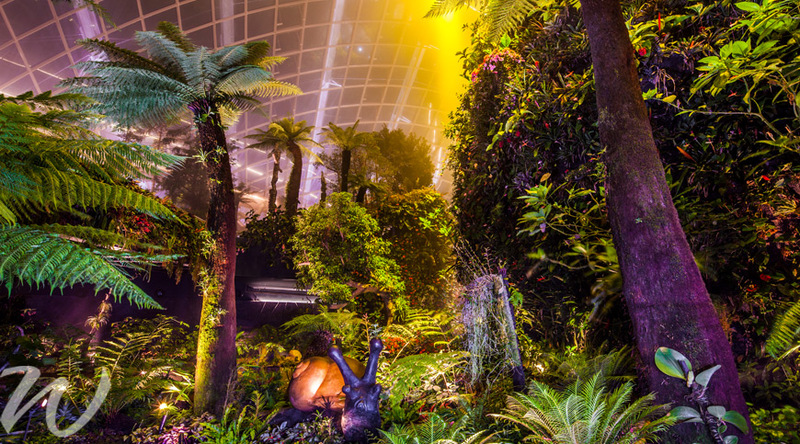 For big ‘wow’ factor moments together, Gardens by the Bay is the place to be. Set among the cascading waterfalls, radiating Supertrees and floating bridges, it’s romance-plus. If you prefer quiet time together, head to the Secret Garden in the Cloud Forest; the Mediterranean Garden, Flower Field, Olive Grove in the Flower Dome, or amongst the garden’s sculptures. In the evenings, Gardens by the Bay transforms into another world of light and sound. You can walk hand-in-hand along the OCBC Skyway Suspension Bridge with the Supertrees glowing around you. Prepare for a culinary adventure together! Singapore’s multi-ethnic culture and heritage are serving up an increasingly vibrant food scene. From its hawkers’ stalls to fine dining restaurants, options abound. For the best food immersions full of colour, culture, and tastes, you can’t miss dining in one of Asia’s biggest culinary capitals. The Tippling Club is undisputedly one of Singapore’s most celebrated dining experiences for its avant-garde cuisine. 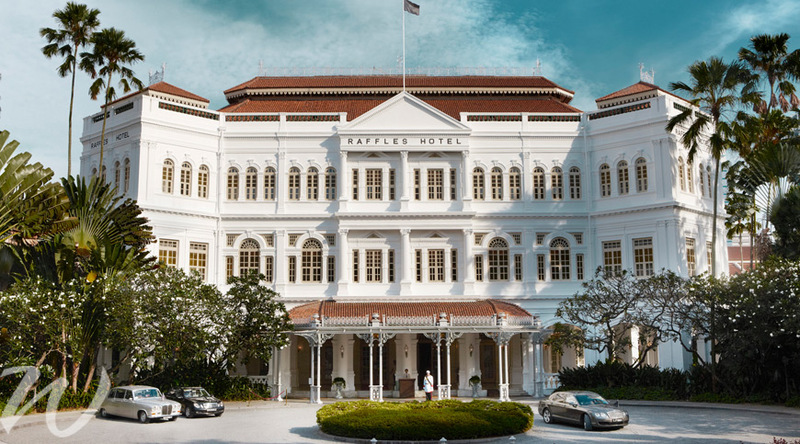 Visit Ujong, for all-day casual dining, or for an edge on Singaporean food the divine Raffles Hotel. Tiong Bahru Markets, one of Singapore’s coolest neighbourhoods, features local food creations. Satay by the Bay is the place to be for grilled meats within Gardens By the Bay. This is snuggle-up territory! At sunset, enjoy Mt Faber’s natural hotspot for heavenly panoramic views. Enjoy a cocktail at the trendy restaurant-bar or a fine dining meal and watch the city lights twinkle. While you can drive up, it’s so much more fun to take the cable car system that links Mt Faber to Sentosa Island. Travel to Singapore and you almost certainly are guaranteed abundant rooftop views. The Esplanade Rooftop Garden has uninterrupted views of Marina Bay Sands and the Singapore River. This is a great place to pop the big question sitting on the manicured garden lawns with one of the incredible cocktails in hand. 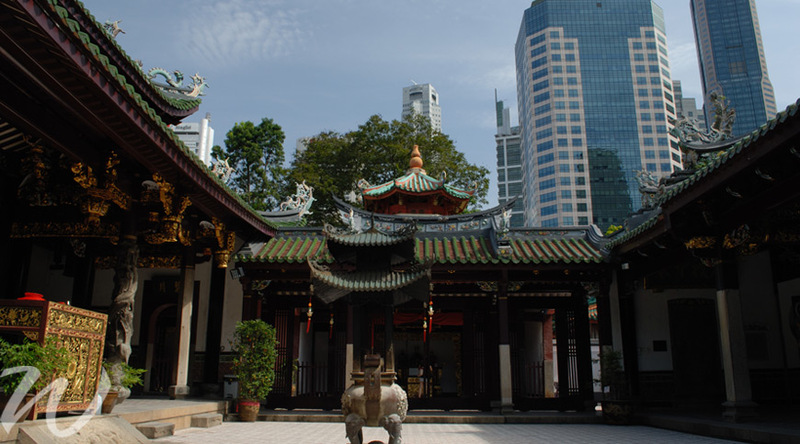 Thian Hock Keng is not only a living-monument and architectural masterpiece but also an important part of Singapore’s history dating back to the 1800’s. Discover the secrets of this rare century-old gem in modern-day Singapore for a more traditional Valentine’s approach. Head for bustling Little India to see Sri Veeramakaliamma, the prettiest temple in the neighbourhood. 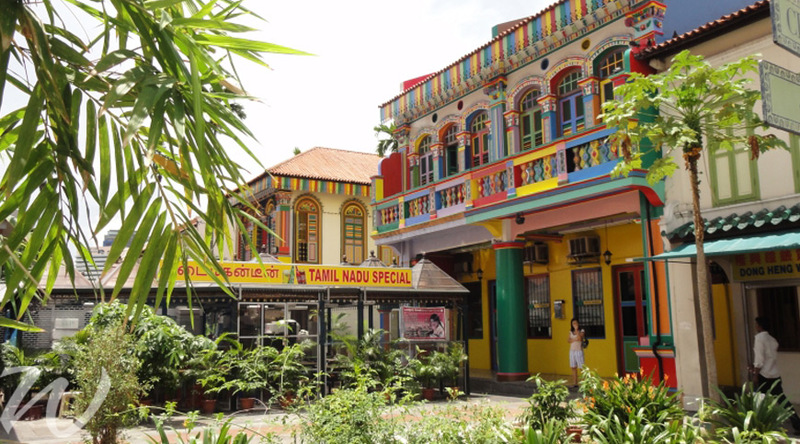 The House of Tan Teng Niah – Singapore’s most colourful building is also worth a visit. For 24-hour shopping, the Mustafa Centre has everything under one roof and has a cult-like status in Singapore. While in Little India, you should also check out the Sakya Muni Buddha Gaya Temple, popularly known as the ‘Temple of 1,000 Lights’ due to an adjacent room containing many such lights. The main feature of this Buddhist temple is the central 15-metre tall Buddha statue that draws in worshippers and tourists with both its religious significance and beauty. Though these great locations may add spice to your time together, ultimately as long as you are enjoying your travels and also each other’s company, it really doesn’t matter where you go! 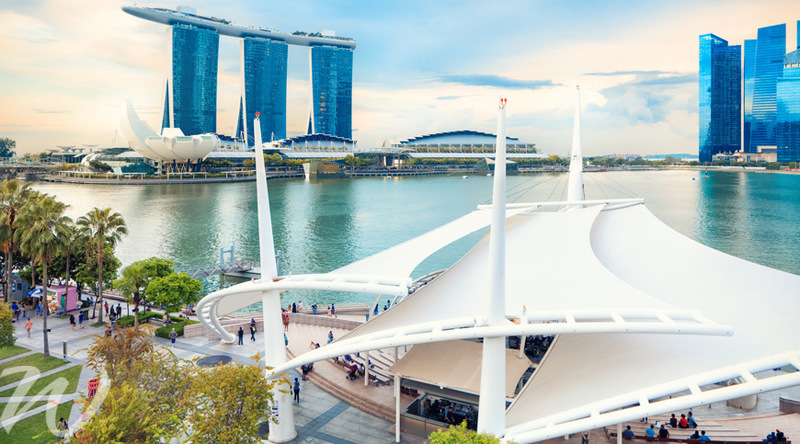 Learn more about Singapore by visiting our website and check out our Special Offers.